Acting Jobs>Short Film Jobs>Young Aboriginal Male Actor Wanted for a Short Film Tilted 'COWBOY'. Young Aboriginal Male Actor Wanted for a Short Film Tilted 'COWBOY'. Role: Character 'Dee'. Speaking part in a short film. This film is coming of age story about a teenage boy and his desire to pursue a career as a country and western singer and his responsibility to help on the family farm. 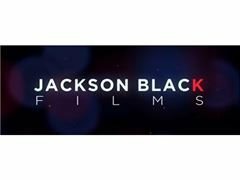 Jackson Black Films is an award-winning independent production company. We produce content on demand, ranging from films, documentaries, education, TVC's and animations. This is a non paid voluntary job but will be IMDB credited. Young male aboriginal actor for drama role.